Just announced at Gamescom, The Crew Calling All Units is the second major expansion of The Crew®, the revolutionary action-driving game released in 2014. Take to the road as a cop or as a street racer and prove your driving skills across the entire US to become an ace officer or the most wanted petrolhead. In this always-on, all-terrain confrontation, you can rely on a whole set of special abilities and the widest variety of vehicles to quench your thirst for action, and of course, the total support of your crew. Choose your side, stay sharp, and take over the world. Street racers have been ruling the roost, until today. Want to set the record straight? Join the police and chase them all across the US in frantic, high-risk pursuits. 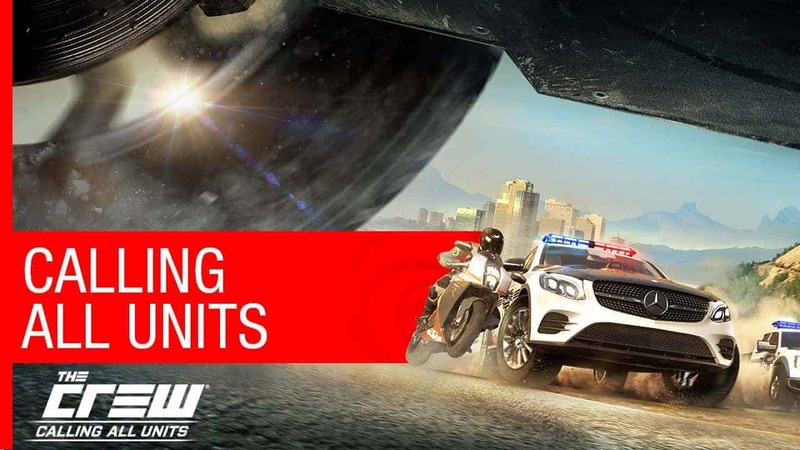 Perform successful arrests and get your hands on a wide range of exclusive cop vehicles, from exotic supercars to legendary motorbikes or indestructible SUVs. Prefer to stay in the shadows as an underground racer? Take off with the cargo and you’re in for some sweet rides and rewards. No place is off limits and no chase is like any other, so whichever side you’re on and whoever’s on your team, make sure you’ve got the right wheels for the terrain and use every special ability to boost your vehicle or mess with your rival’s.